-72% OFF on This Product 2019 : Today Only! 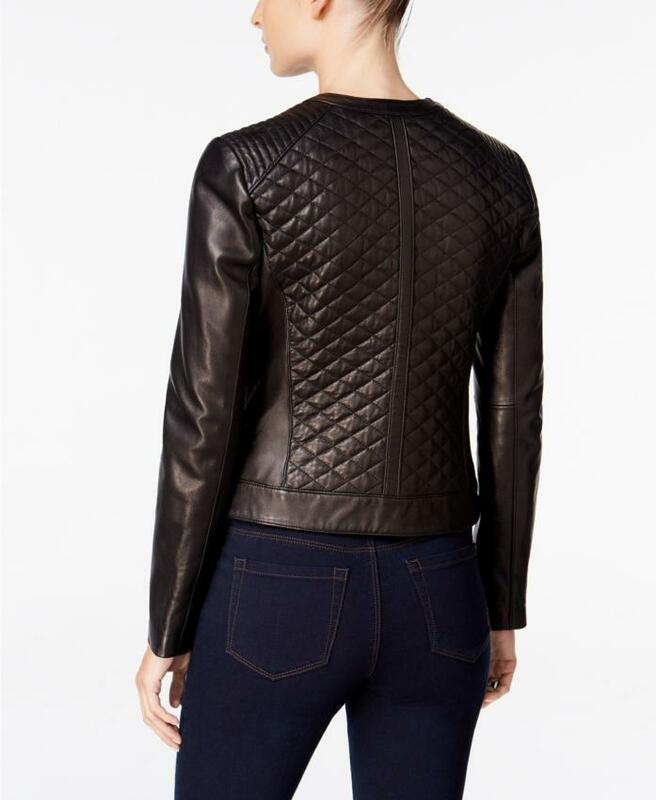 It is time to gives a stylish change to your outlook with the William Jacket’s collarless women black quilted jacket. As this jacket is quite fascinating throughout from top to the bottom so it contains the unique style of collarless top. Overall this women jacket contains quilted texture all over the front which makes it completely prominent among the many people. William jacket made this black quilted jacket with the quality leather for the long-term wearing collection of your top dressing. Overall this collarless jacket has body fitted style along with the long sleeve. It has zip closure front along with the zip pockets which explain the good comfort to wear it in your style. I bought this jacket because of its beautiful look and design. When I received my order the quality of Collarless Women Black Quilted Jacket is quiet high. The leather quality of this jacket really impressed me and I order one more Jacket for my little sister and gift her on his birthday. Thanks to William Jacket for making such a great products for us. I was searching Leather Jacket on Internet and found this amazing and beautiful “Collarless Women Black Quilted Jacket” on William Jacket Website. The design of this jacket really impressed and I place order for this, just after three days I received my jacket and the quality of jacket is high and according to my expectation. 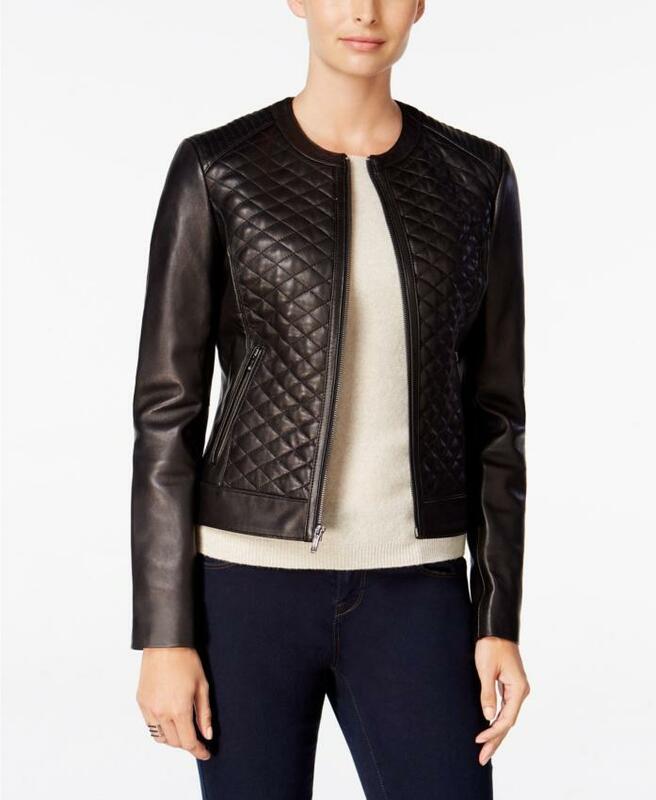 Amazing this Collarless Women Black Quilted Jacket.i really want to buy it for my birthday. I am a regular customer of this company. It delivers some things from 4 to 5 days. But if we need it in 2 to 3 days can it be possible is there any option please tell me the fastest way of service. I want this jacket but in just 3 days. I don’t want to get from anywhere else because your product qualities have no comparison. We want a winter jacket for our cutest doll. She is so pretty and we collect such type of things which can glow her beauty in winter. My husband was busy so I tried to get this jacket on the net and I found so many websites but when I saw this collarless black quilted jacket. I was happy because of its zipper closure and also zipper pockets which can save her. I decided to purchase from here and no doubt my decision is as good as its quality. I am a Taylor and I can say that your stitching procedure was amazing and also appreciable. I used William jackets for so many years and I am a regular customer of William jackets and during this time period, I never face any issue from their materials and services. They are loyal with their commitments. I have no need to go anywhere else to find some stylish and iconic jackets. Especially their waistcoat, zipper and lapel collar gives their jackets more attractive and effective.